26/04/17 - wrong &amp; missing information regarding the board - Jan Cantzler, You don&tt2;t get what you see on the Product Picture and description. it&tt2;s a cheap board, usually there is not much you can fail with such a 16 way relay board. But if there are no correct wiring instructions coming with the board, you must fail. The product picture suggests, that it is similar to sainsmart board - IT IS NOT!! 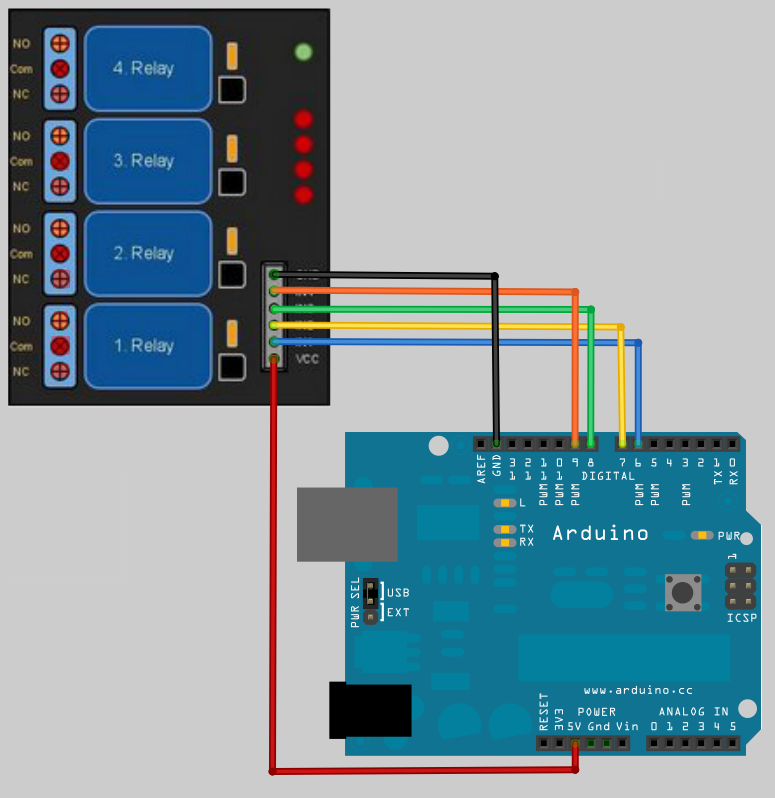 if you power 12V on the sockets to power the relays, you have 12V at the 5v PIN TO the Raspberry or other device that will definitely destroy anything connected. This lesson (yes, it&tt2;s my fault - I didn&tt2;t checked it properly before connecting the power) costs me now 5x the price of the relay board in a raspberry &amp; 7&quot;Touch - just because somebody in China decided to safe 0.005 € for a piece of paper with PIN Layout or at least a warning message. Next time I will buy again from regional store, even if it costs double price. 16 Way 5V Relay Module is a relay board that you can control it's contacts with 5V via Aruino or another microcontroller board. It draws 20mA of current from microcontroller when triggering. It is used frequently in hobby, industrial and robotic projects. It can relay current up to 10A at 30VDC or 220VAC. The board has control LEDs for each relays. Relays are triggered with logic 0 (0V).